Boost your sales with Koongo. 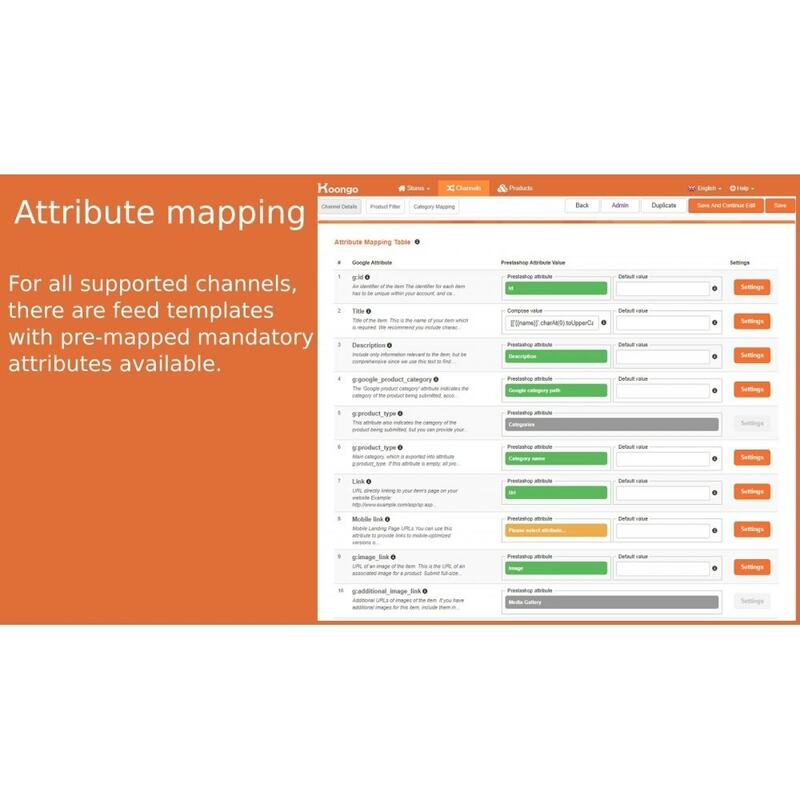 Use your Prestashop store as a single source of data. And export your products to various online marketplaces or price comparison websites like Amazon, eBay.com, Cdiscount.com or Google Shopping. Koongo is an affordable solution for all sorts of customers. The subscription starts at €19 per month. Koongo dynamic subscription will always charge you only for the service you use. 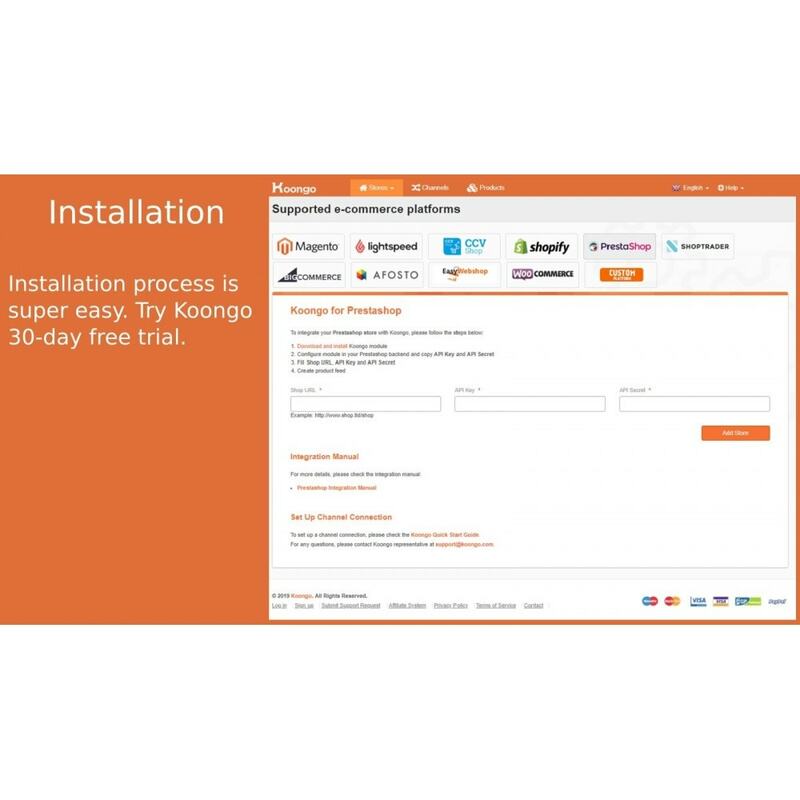 Koongo can integrate your Prestashop store with hundreds of marketplaces, affiliate marketing, and product comparison websites all over the world. 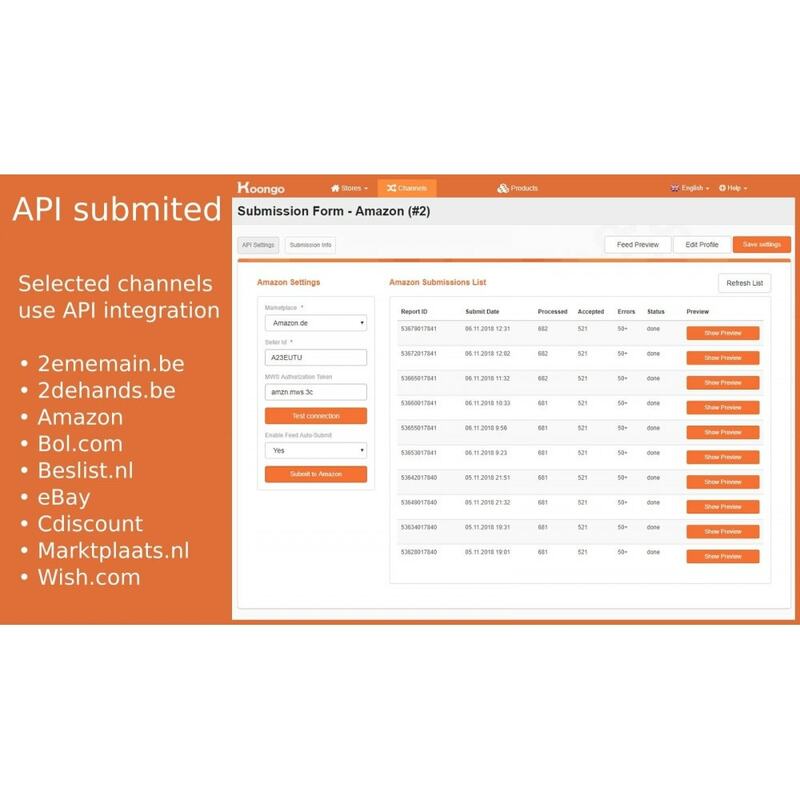 We have built a direct Prestashop API connection enabling Prestashop to import your product data to Koongo account. 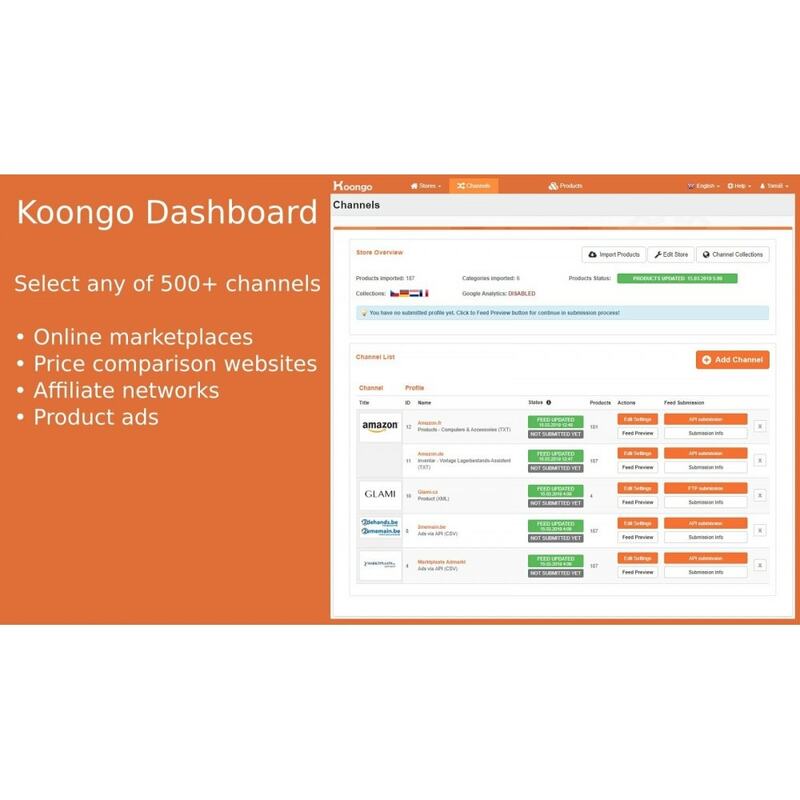 In Koongo account you can optimize your product data and set up an automatic connection to marketplaces or product comparison sites of your choice. 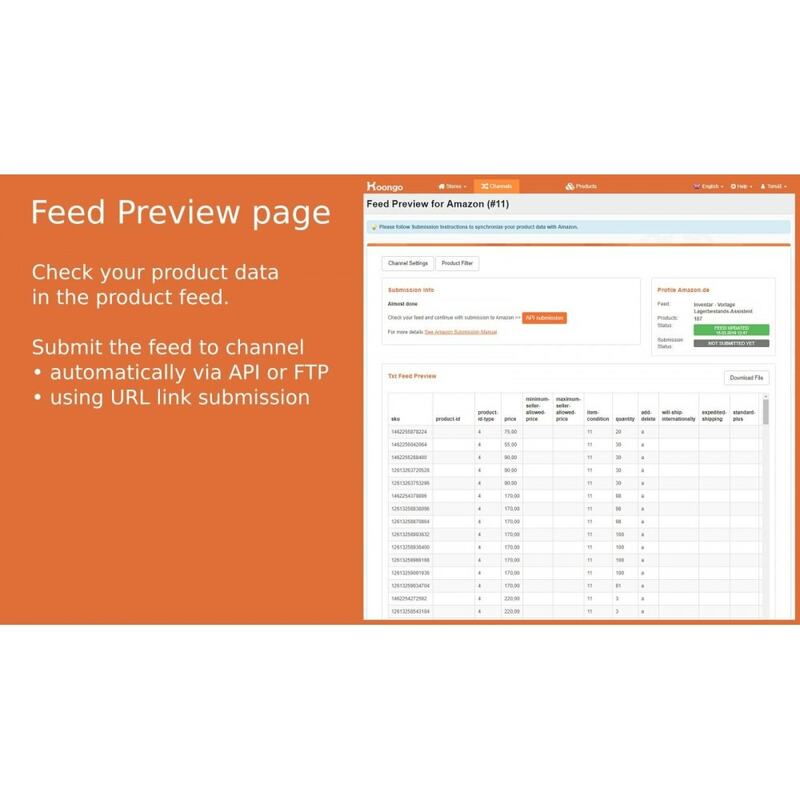 Your product data are uploaded to connected channels on a regular basis. Koongo solution ensures that you advertise only the products which are in stock in your Prestashop store.